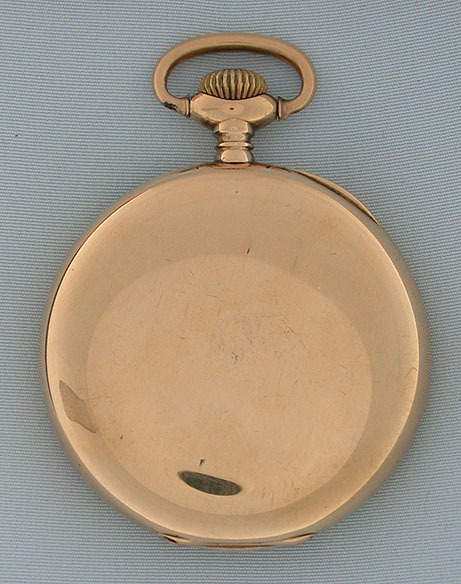 Fine slim 14K gold Longines antique pocket watch with exceptional dial circa 1899. 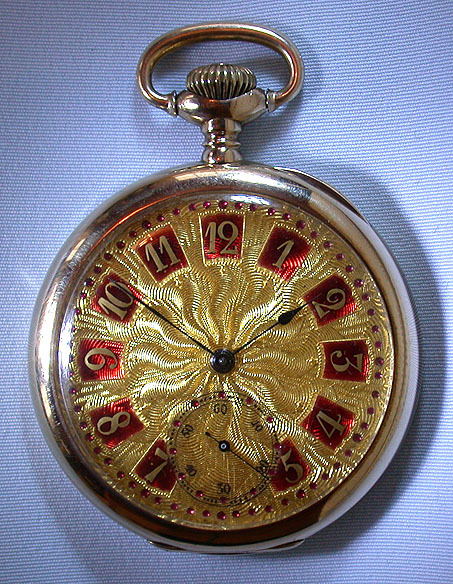 The dial has been engraved and then enameled with the numerals and markers in bright red. 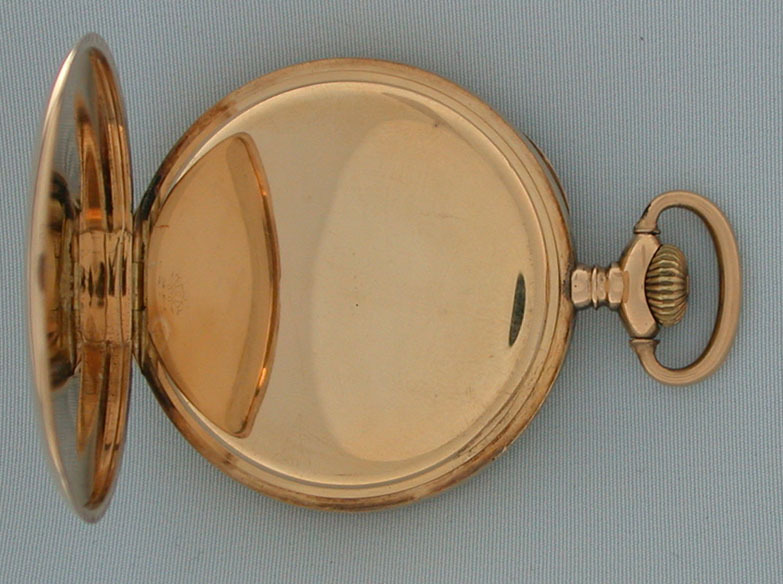 Plain polish case. 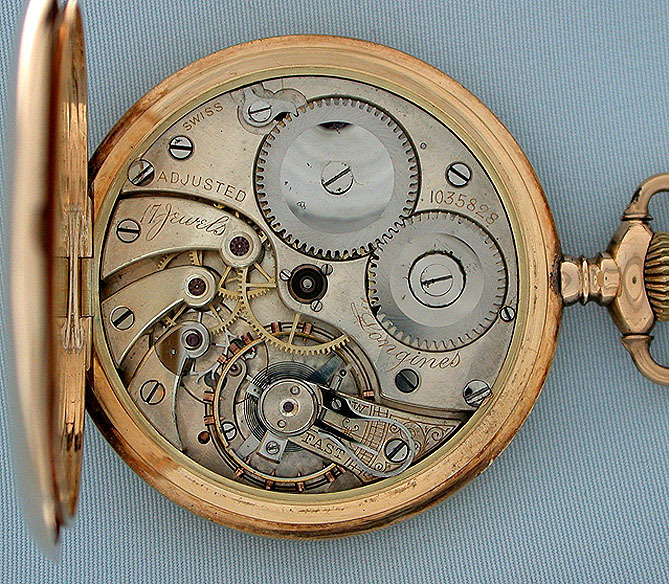 Nickel 17 jewel adjusted movement with precision regulator.